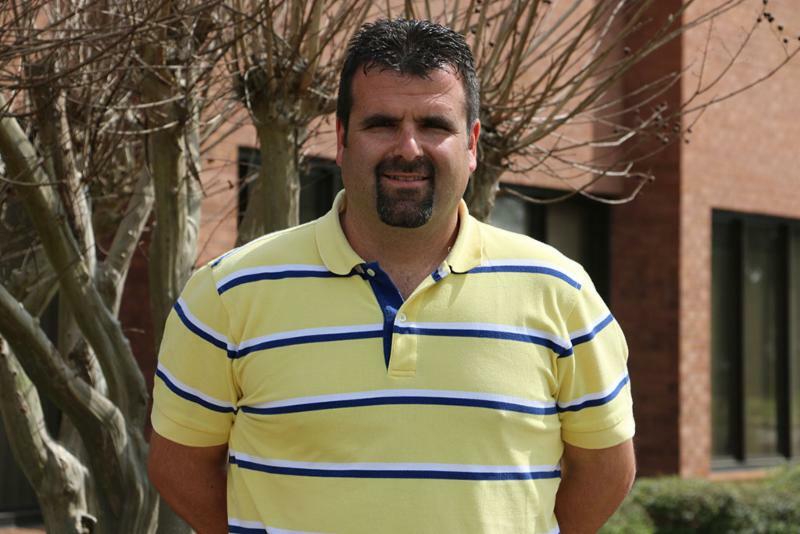 April 2, 2015 – A new face recently joined Fort Valley State University’s Office of Admissions and Recruitment to boost the number of Latino and International students on campus. The university recently hired Francisco “Paco” Paredes-Sanchez as its new Bilingual Admissions and International Recruiter. “I’ll be focused on recruiting Hispanic and Latino students, as well as supporting the international admissions process and regular students’ admissions,” Paredes-Sanchez said. Paredes-Sanchez is originally from Guardamar del Segura (Alicante), Spain. He earned his bachelor’s in marketing in 2004 from Georgia Southwestern State University. Before he earned his master’s degree in 2009 from GSW, FVSU’s new recruiter served as a marketing manager at Techtennis, a company that built acrylic tennis courts. He handled the exportation of acrylic tennis court paint and cushioning products from the United States. Paredes-Sanchez met budgeted sales quotas and handled sales negotiations and agreements. He is a seasoned recruiter with experience in business and working to recruit international and Latino students. From 2006-2013, Paredes-Sanchez served as a Bilingual Admissions Counselor and Hispanic Student Recruiter for Georgia Southwestern University. While there, the recruiter represented the university at college fairs, organized recruitment efforts and spoke to the student body during visits to targeted high schools. He also guided potential students through the admissions and application process. He helped to raise Hispanic and Latino student enrollment by 170 percent over a two-year period. For his achievements, Paredes-Sanchez won the National Minority Role Model Access Award from Minority Access, Inc. He also won a State of Georgia “The Joe Head Professional Development” Scholarship and an award from the Georgia Association of Collegiate Registrars and Admissions Officers organization. From August 2011, Paredes-Sanchez serves as an instructor of International Business for Georgia Southwestern State University. He taught students the importance of international economies and global financial issues, including helping them to understand how legal, political, cultural and religious difference will affect business. Paredes-Sanchez speaks three languages fluently: Spanish, English and Catalan. He is married to his wife, Carolina and has a seven-year-old daughter Eva. He is also a tennis player and team member of the 2001 National Association of Intercollegiate Athletics runner-up team in the national tournament. Also won two NAIA Conference and Region titles in 2001-2002 and 2002-2003. Paredes-Sanchez says he’s going to help FVSU to set up a welcoming atmosphere to help Hispanic/Latino and international students feel at home on campus. “I want them to feel comfortable while studying at the university, which will lead to increased enrollment short to long term,” Paredes-Sanchez explained. He said the university has already made him feel welcome, too. For details, contact the Office of Admissions and Recruitment at (478) 825-6520.